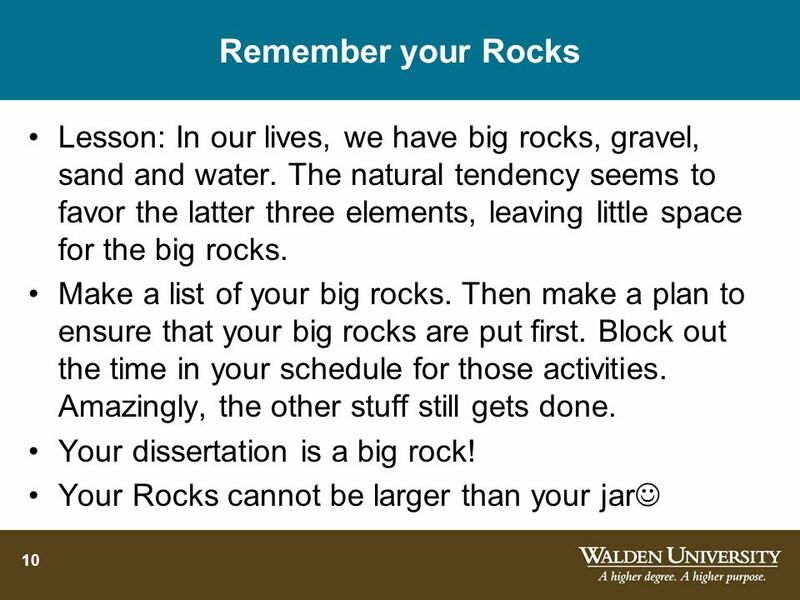 Marilyn K. Simon, Ph.D. Jim Goes, Ph.D.
2 Where are you in your doctoral program? 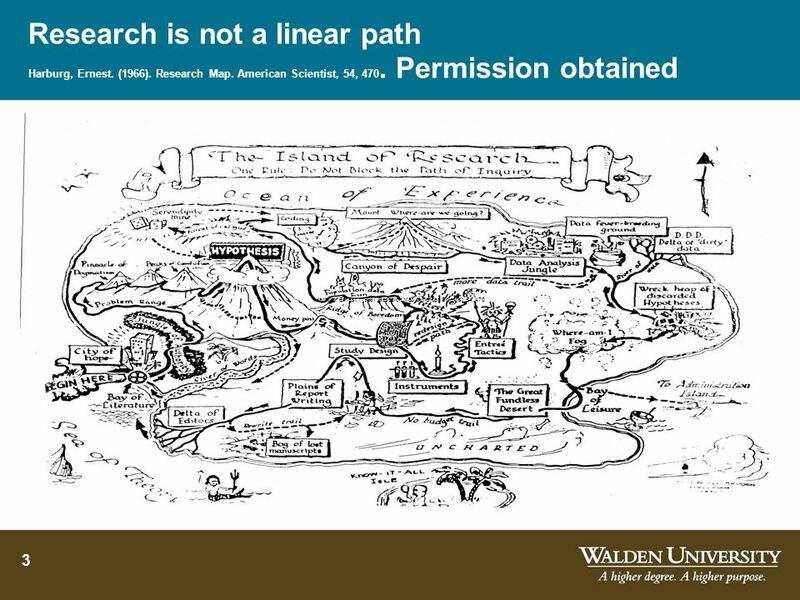 Research is not a linear path Harburg, Ernest. (1966). Research Map. American Scientist, 54, 470. Permission obtained Harburg, Ernest. (1966). Research Map. American Scientist, 54, 470. 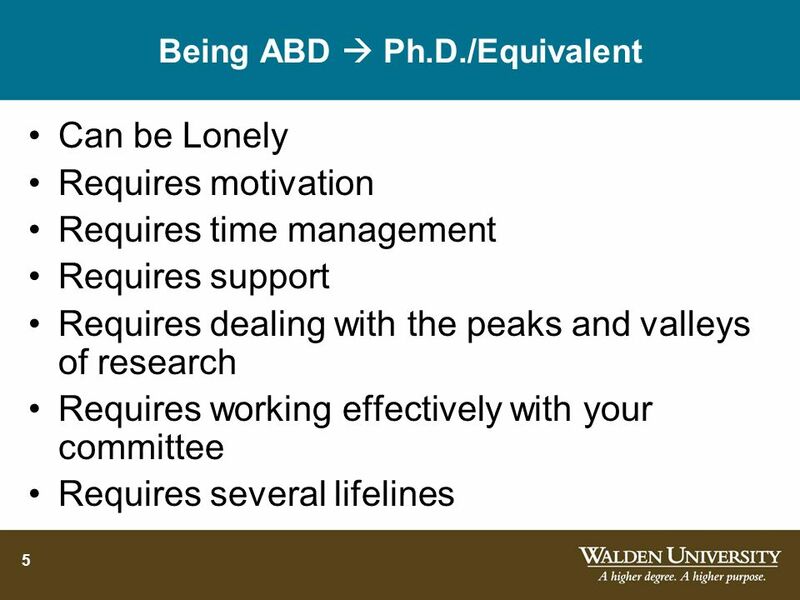 4 Being ABD means You have taken all the courses you need to take to earn a Ph.D. You have taken your Ph.D. qualifying exam or passed all requirements except the dissertation. 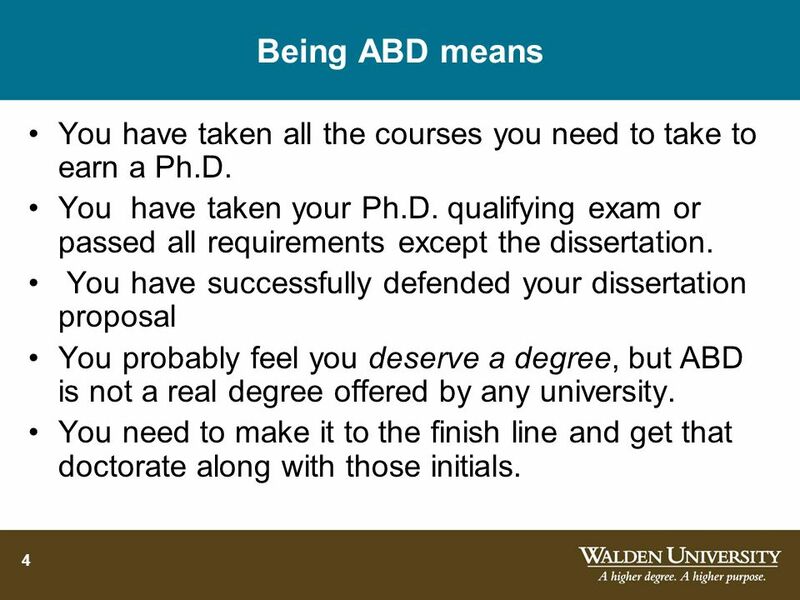 You have successfully defended your dissertation proposal You probably feel you deserve a degree, but ABD is not a real degree offered by any university. 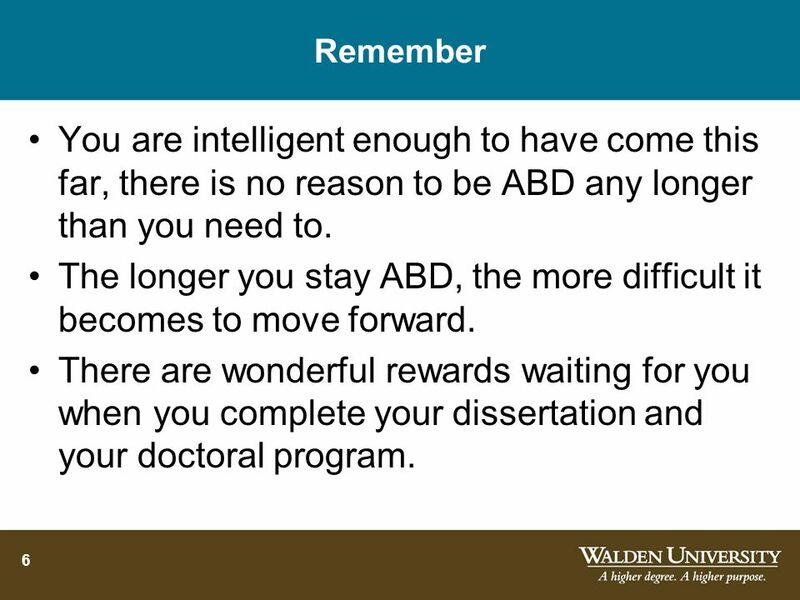 You need to make it to the finish line and get that doctorate along with those initials. 6 Remember You are intelligent enough to have come this far, there is no reason to be ABD any longer than you need to. The longer you stay ABD, the more difficult it becomes to move forward. 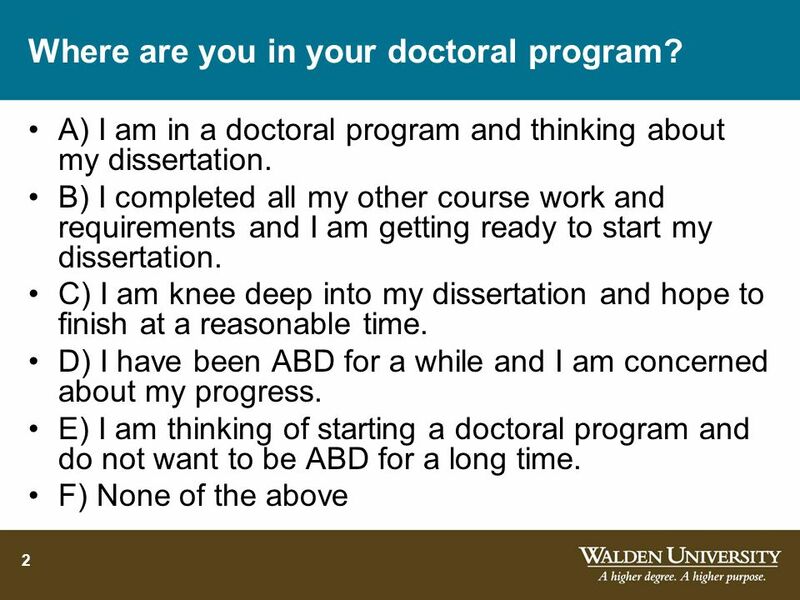 There are wonderful rewards waiting for you when you complete your dissertation and your doctoral program. 7 What do you need to move forward? 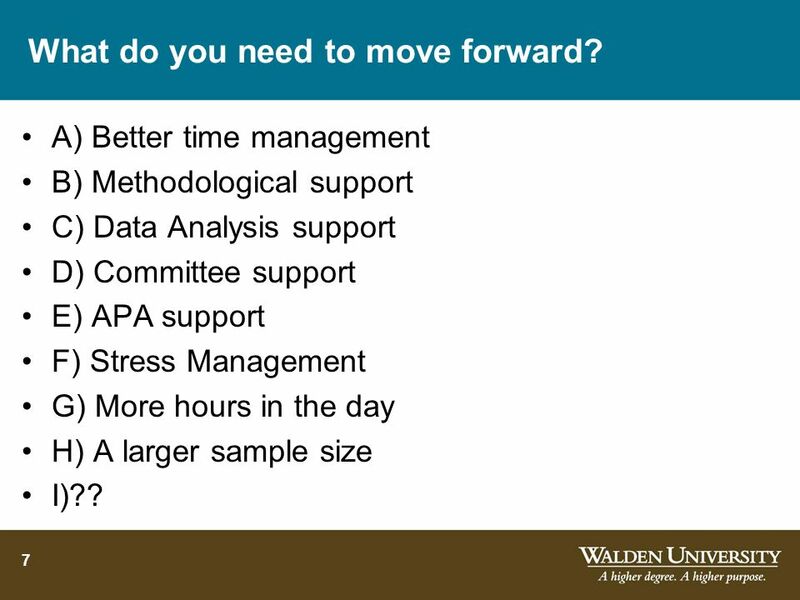 A) Better time management B) Methodological support C) Data Analysis support D) Committee support E) APA support F) Stress Management G) More hours in the day H) A larger sample size I)?? 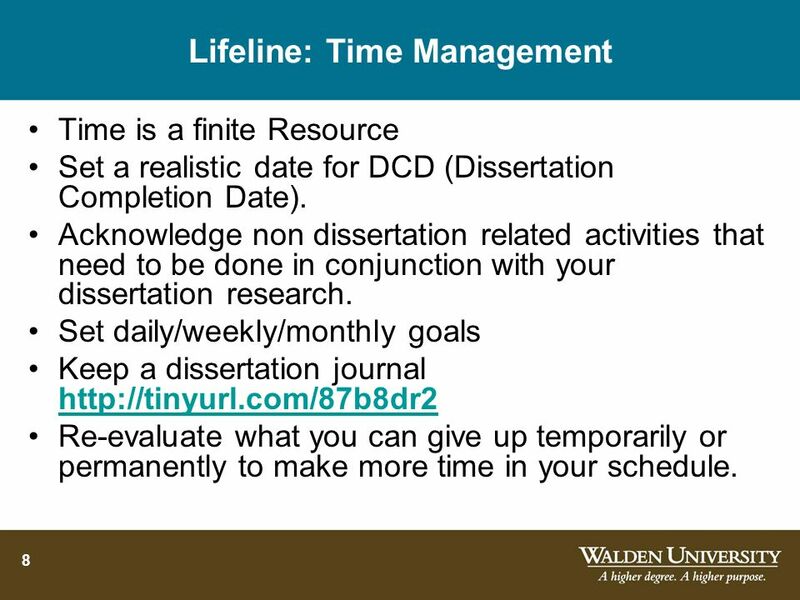 Time is a finite Resource Set a realistic date for DCD (Dissertation Completion Date). 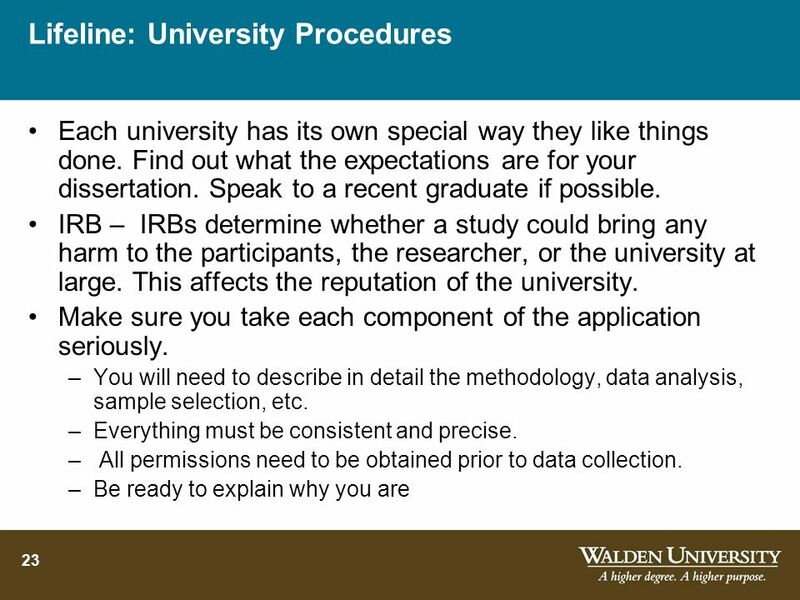 Acknowledge non dissertation related activities that need to be done in conjunction with your dissertation research. Set daily/weekly/monthly goals Keep a dissertation journal Re-evaluate what you can give up temporarily or permanently to make more time in your schedule. 9 Teacher has them add gravel until full. 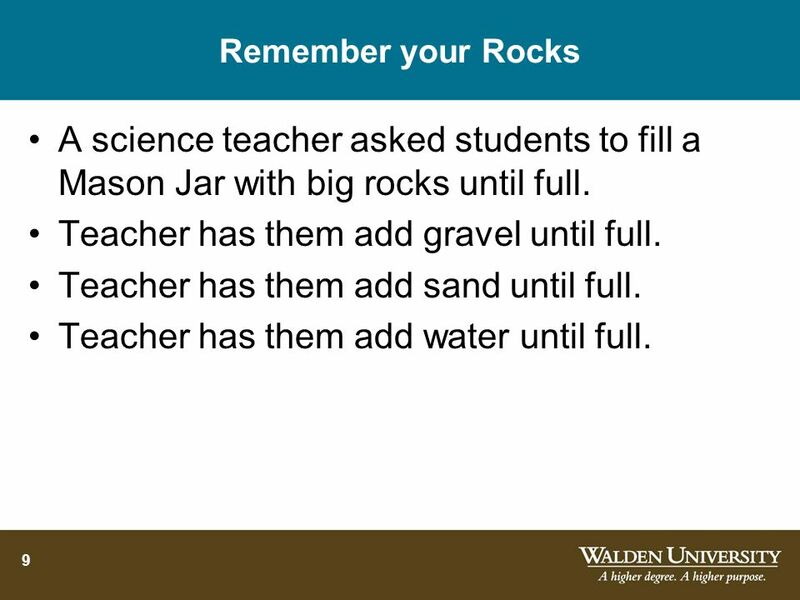 Remember your Rocks A science teacher asked students to fill a Mason Jar with big rocks until full. Teacher has them add gravel until full. Teacher has them add sand until full. Teacher has them add water until full. Prefers precision, exactness, unambiguous situations. 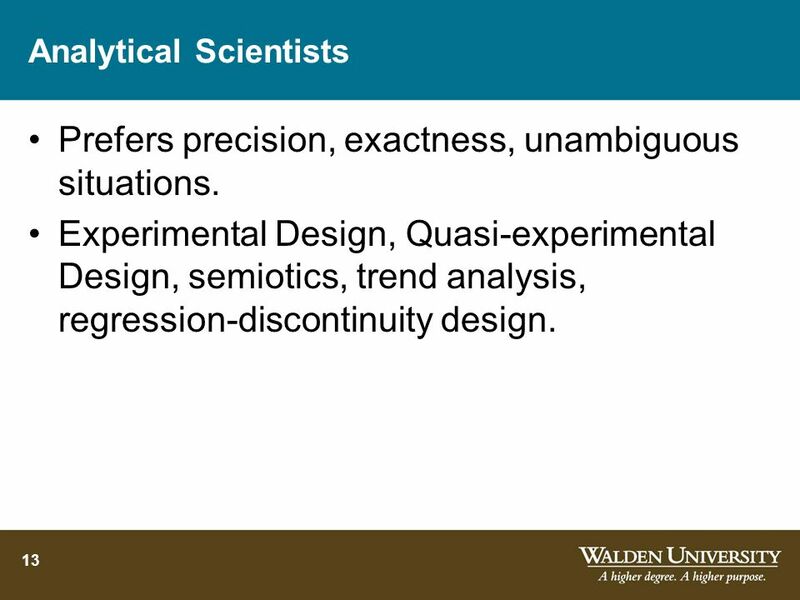 Experimental Design, Quasi-experimental Design, semiotics, trend analysis, regression-discontinuity design. 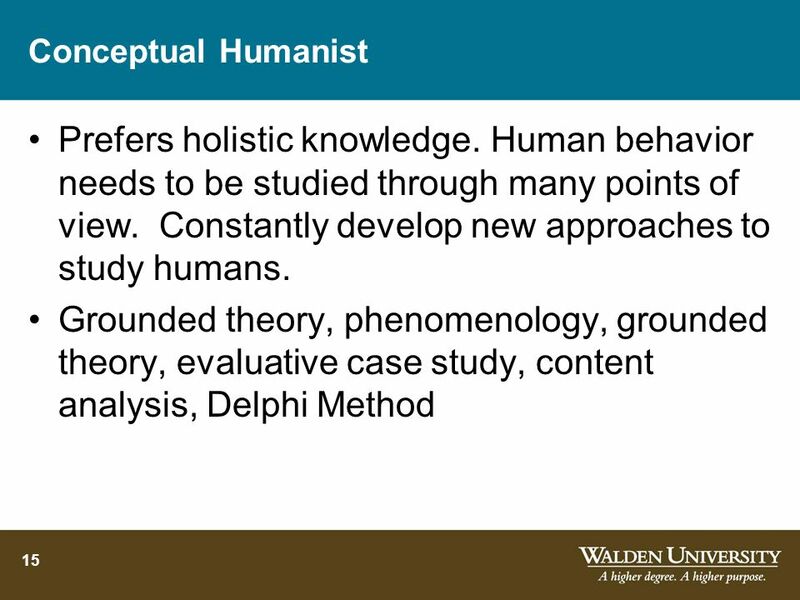 14 Particular Humanist Prefers personal knowledge to rational knowledge. 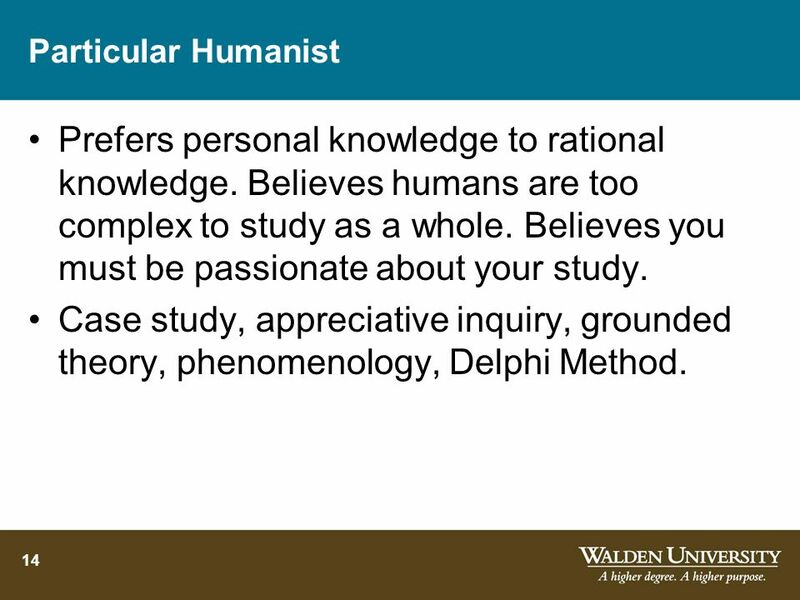 Believes humans are too complex to study as a whole. Believes you must be passionate about your study. 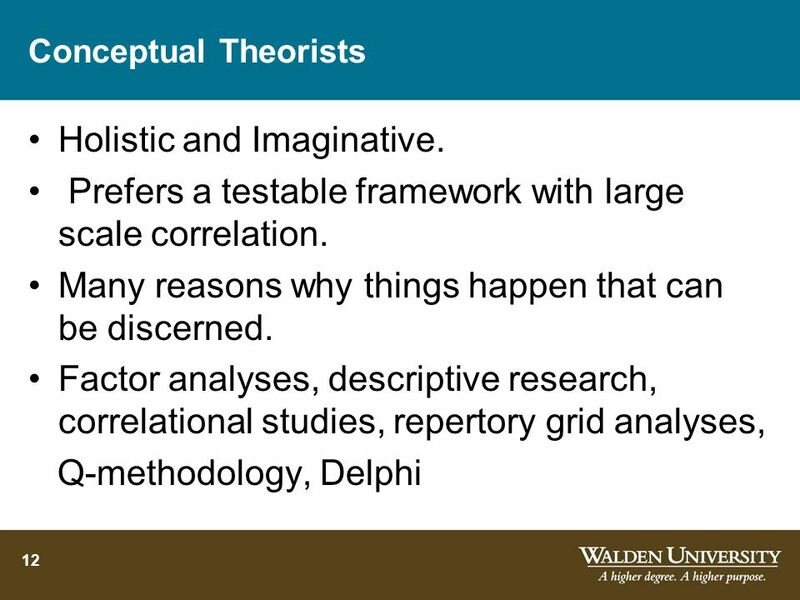 Case study, appreciative inquiry, grounded theory, phenomenology, Delphi Method. 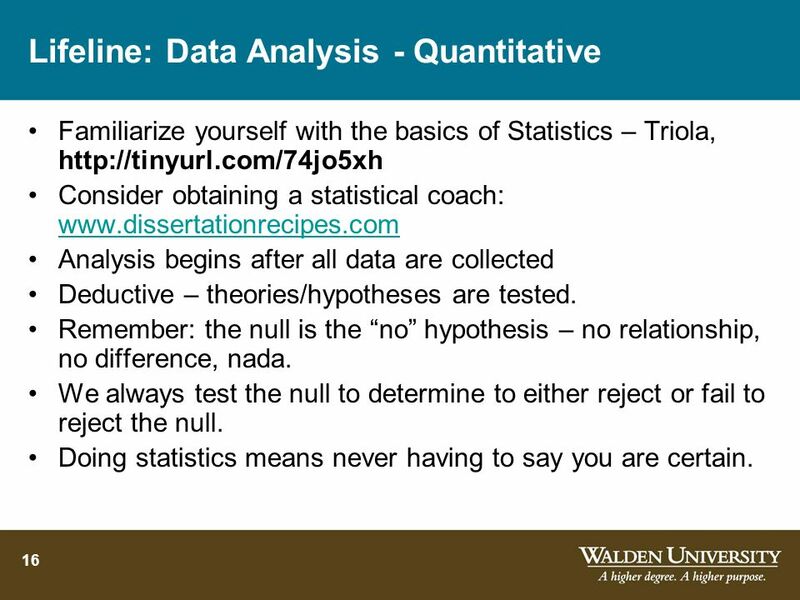 Familiarize yourself with the basics of Statistics – Triola, Consider obtaining a statistical coach: Analysis begins after all data are collected Deductive – theories/hypotheses are tested. Remember: the null is the “no” hypothesis – no relationship, no difference, nada. We always test the null to determine to either reject or fail to reject the null. Doing statistics means never having to say you are certain. Analysis begins after the first round of data collection and continues until saturation. Inductive analysis -- critical themes emerge out of the data. 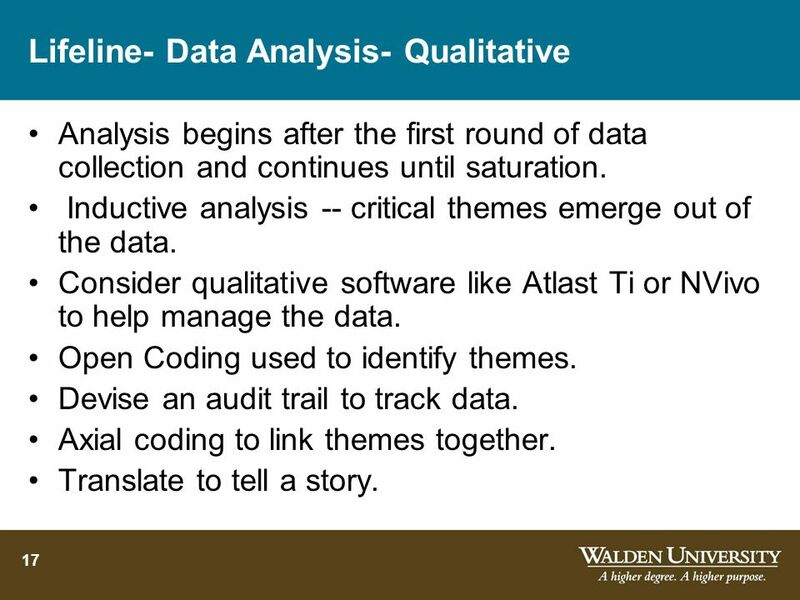 Consider qualitative software like Atlast Ti or NVivo to help manage the data. Open Coding used to identify themes. Devise an audit trail to track data. Axial coding to link themes together. Translate to tell a story. 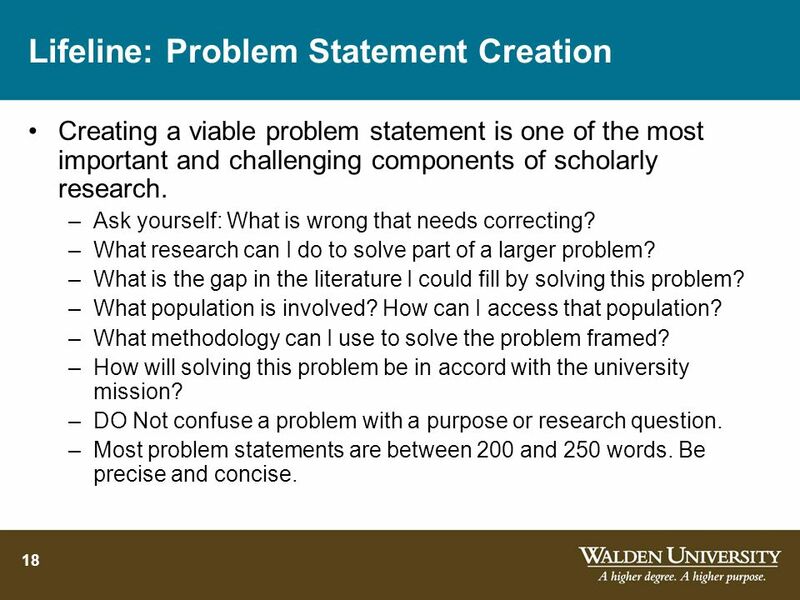 Creating a viable problem statement is one of the most important and challenging components of scholarly research. Ask yourself: What is wrong that needs correcting? What research can I do to solve part of a larger problem? What is the gap in the literature I could fill by solving this problem? What population is involved? How can I access that population? What methodology can I use to solve the problem framed? How will solving this problem be in accord with the university mission? DO Not confuse a problem with a purpose or research question. Most problem statements are between 200 and 250 words. Be precise and concise. 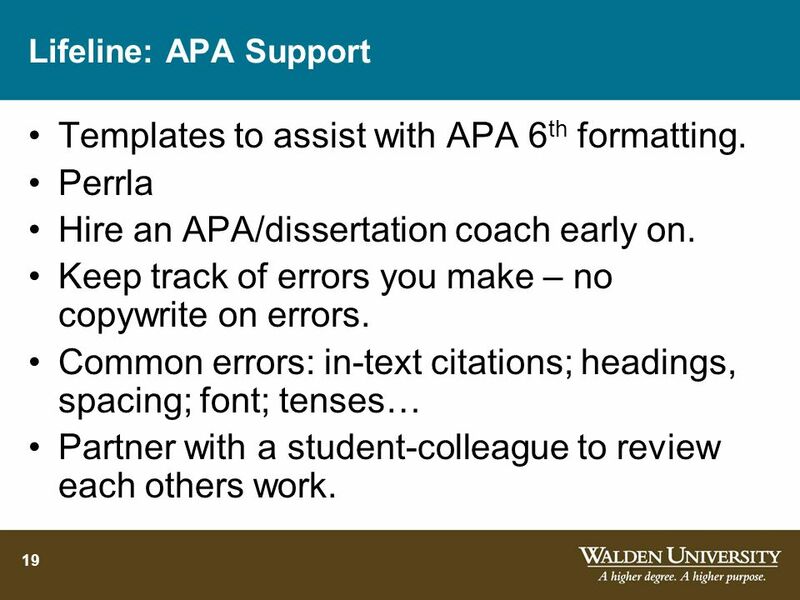 Lifeline: APA Support Templates to assist with APA 6th formatting. Perrla Hire an APA/dissertation coach early on. Keep track of errors you make – no copywrite on errors. Common errors: in-text citations; headings, spacing; font; tenses… Partner with a student-colleague to review each others work. 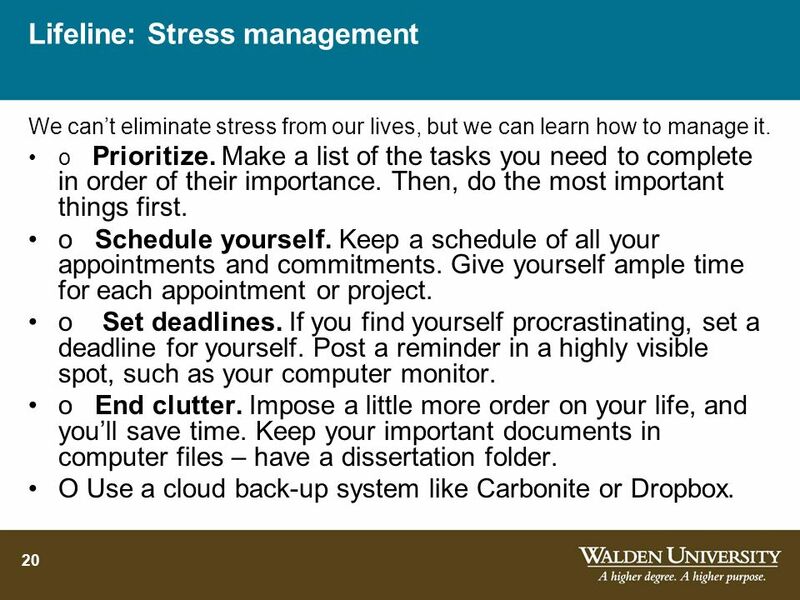 We can’t eliminate stress from our lives, but we can learn how to manage it. o Prioritize. Make a list of the tasks you need to complete in order of their importance. Then, do the most important things first. o Schedule yourself. Keep a schedule of all your appointments and commitments. Give yourself ample time for each appointment or project. o Set deadlines. If you find yourself procrastinating, set a deadline for yourself. Post a reminder in a highly visible spot, such as your computer monitor. o End clutter. Impose a little more order on your life, and you’ll save time. Keep your important documents in computer files – have a dissertation folder. O Use a cloud back-up system like Carbonite or Dropbox. o Communicate. If you do not have the information you need to speak up. o Delegate. 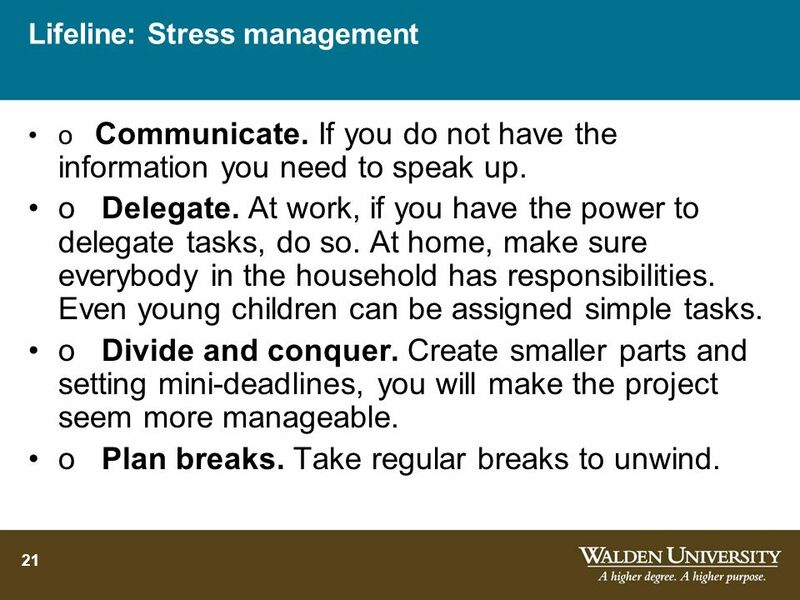 At work, if you have the power to delegate tasks, do so. At home, make sure everybody in the household has responsibilities. Even young children can be assigned simple tasks. o Divide and conquer. Create smaller parts and setting mini-deadlines, you will make the project seem more manageable. o Plan breaks. Take regular breaks to unwind. 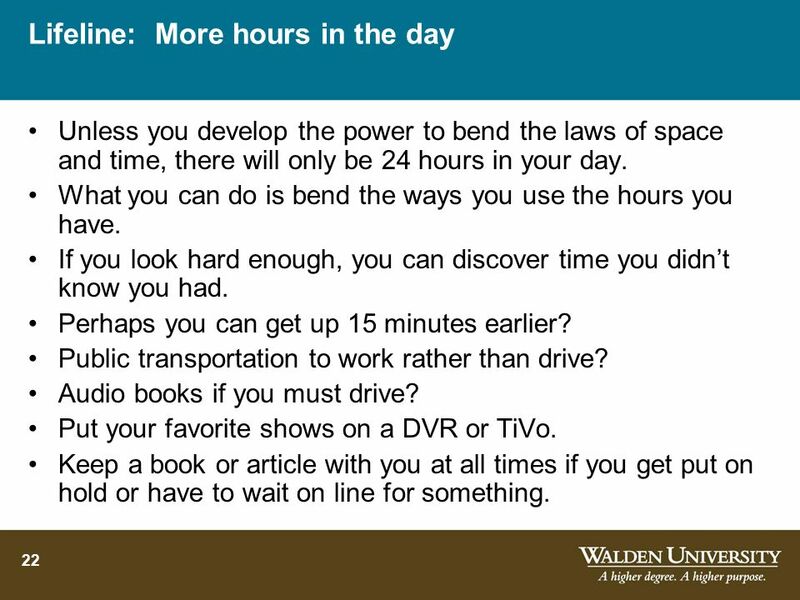 Unless you develop the power to bend the laws of space and time, there will only be 24 hours in your day. What you can do is bend the ways you use the hours you have. If you look hard enough, you can discover time you didn’t know you had. Perhaps you can get up 15 minutes earlier? Public transportation to work rather than drive? Audio books if you must drive? Put your favorite shows on a DVR or TiVo. Keep a book or article with you at all times if you get put on hold or have to wait on line for something. 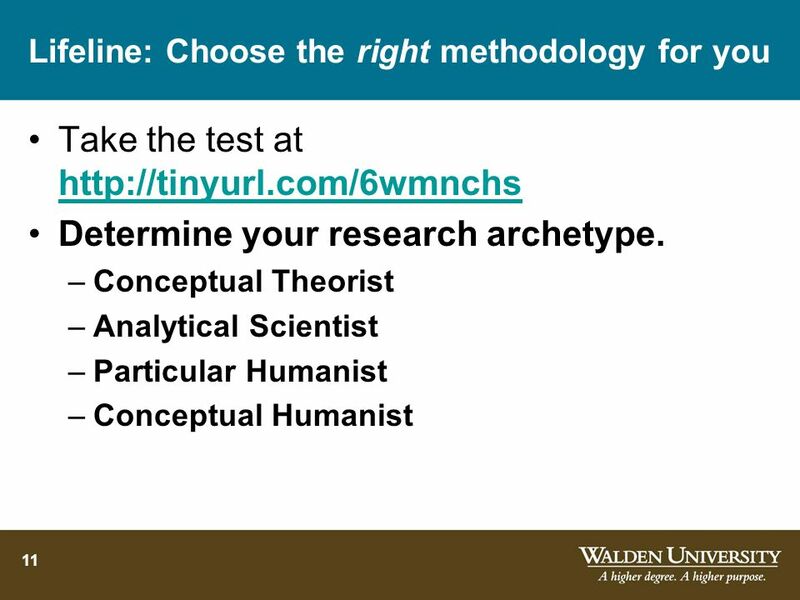 One of the challenges in scholarly research is to have a large enough n (sample size). 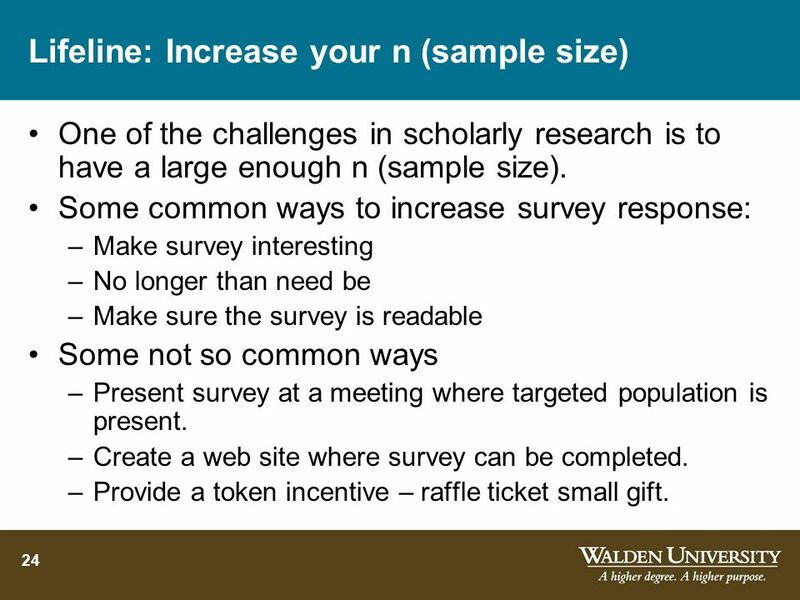 Some common ways to increase survey response: Make survey interesting No longer than need be Make sure the survey is readable Some not so common ways Present survey at a meeting where targeted population is present. Create a web site where survey can be completed. Provide a token incentive – raffle ticket small gift. 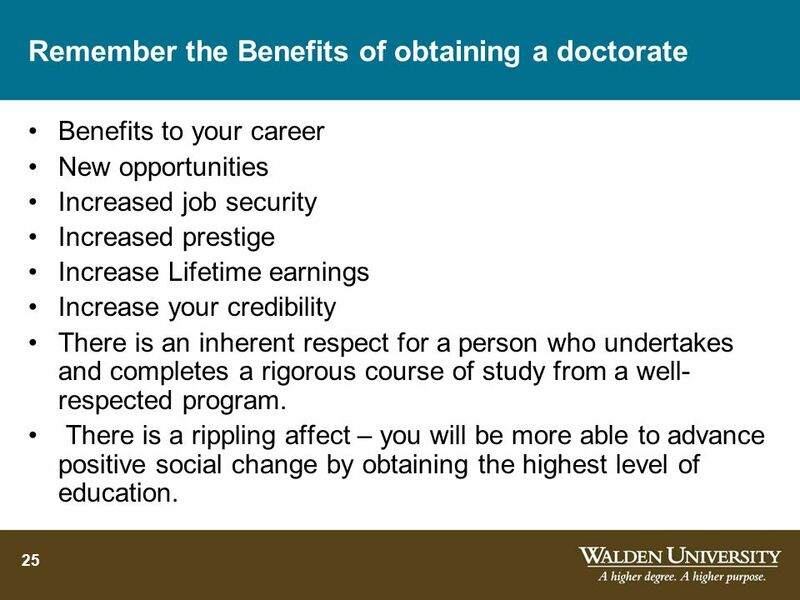 Benefits to your career New opportunities Increased job security Increased prestige Increase Lifetime earnings Increase your credibility There is an inherent respect for a person who undertakes and completes a rigorous course of study from a well-respected program. There is a rippling affect – you will be more able to advance positive social change by obtaining the highest level of education. 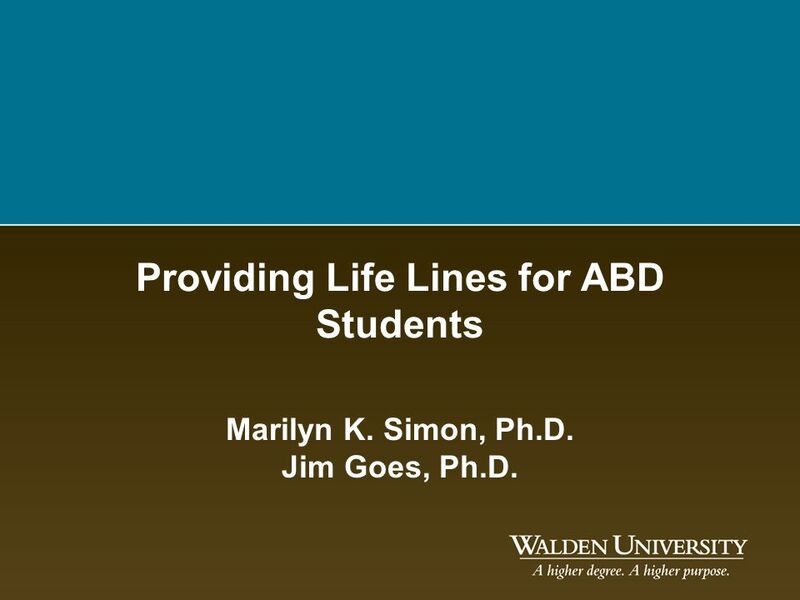 Download ppt "Providing Life Lines for ABD Students"
1 of 19 Organization and Management New Approaches to motivating Staff IMARK Investing in Information for Development Organization and Management New Approaches. 5th year Study Skills: THE CALM BEFORE THE STORM?? Mr Foster Coláiste Choilm C.B.S. Swords.